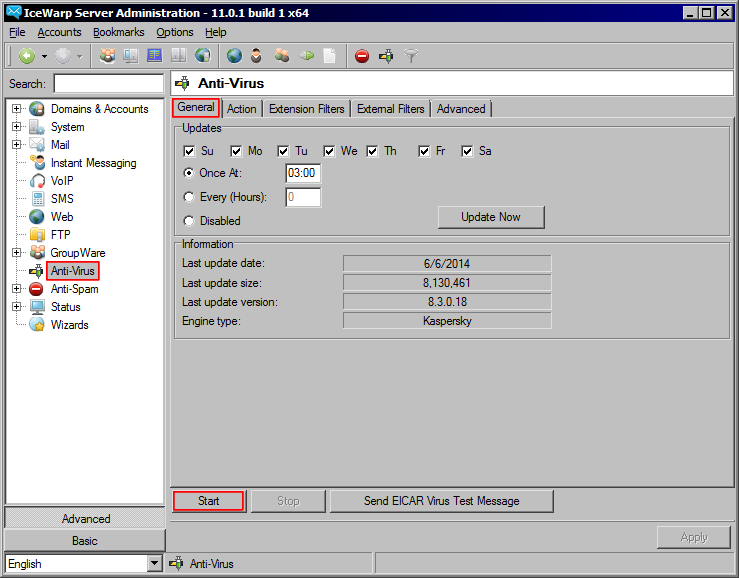 The IceWarp AntiVirus engine can scan incoming and outgoing messages for viruses during SMTP transmission. Starting with version 10.1.2, the award-winning multi-threaded Kaspersky AntiVirus engine is included with automated virus database and scan engine updates. To enable the AntiVirus engine, navigate to AntiVirus > General tab and click on "Start" at the bottom. 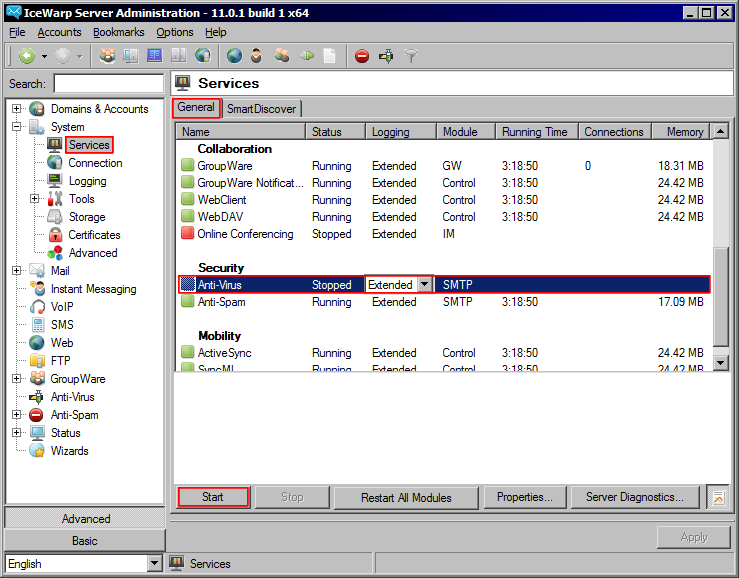 An alternate way to enable/disable the Antivirus engine is through the Services tab. In the IceWarp Administration console, go to System > Services > General tab, select the AntiVirus service and click "Start"
It is strongly recommended that you use the Integrated Antivirus Engine. However, the older technology which is based on an External AntiVirus scanner is still supported. 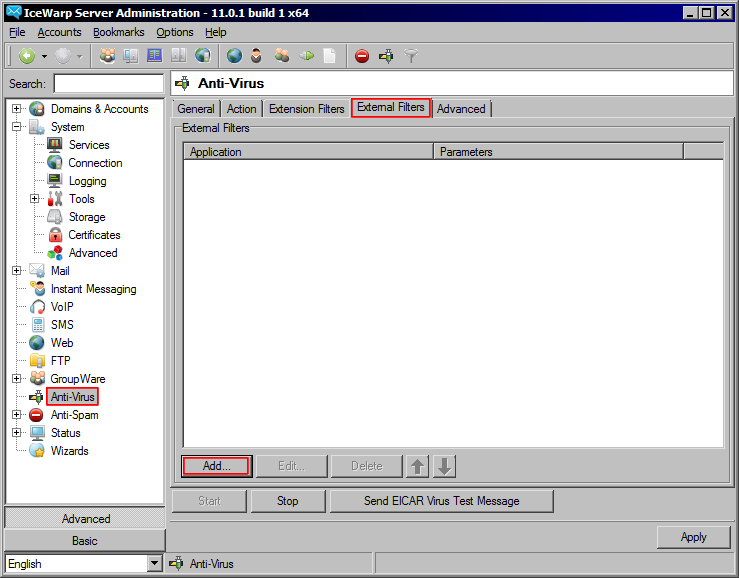 If you click on the blank button next to the Parameters field and choose the appropriate AntiVirus, the pre-defined parameters will be filled automatically. How do I Retrieve a Password through Webmail Pro?